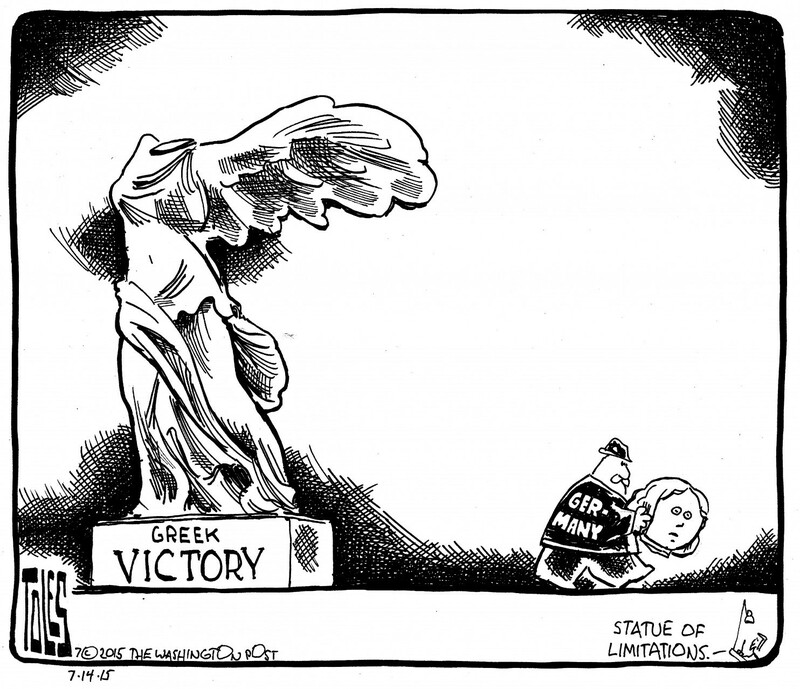 The Winged Victory of Samothrace is 2200 years old. Today, however, the spoils go for the Gothic Barbarians. Gary Lineker, one of the most outstanding strikers in English football’s history once quipped: Football is a simple game. Twenty-two men chase a ball for 90 minutes and at the end, the Germans always win. One could say almost the same about the European Union. There are 19 states playing ball in the euro group, for many hours, and in the end Germany always prevails. 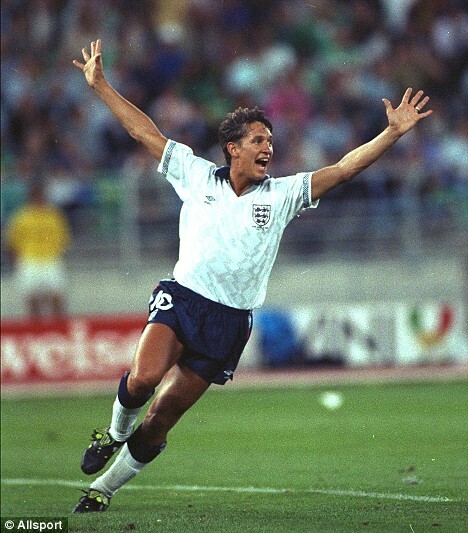 Gary Lineker, scoring on the pitch for England and the author of the famous maxim off-the pitch. Just over a week ago I wrote at Tempos Interessantes (“OXI” at http://tempos-interessantes.blogspot.pt/2015/07/oxi.html) that there were two courses of action that Germany could take reacting to Greece’s referendum; predictably, the first one prevailed: A vengeful stand. Infuriated by the Greek voters’ defiance, Berlin may choose to punish their daring by keeping the Troika’s terms unchanged. Actually, it was even more vengeful than that, because the terms were changed, becoming even harsher and more punitive. 1- Germany is ever more coercive and violent in asserting her hegemony in Europe. 2- Alexis Tsipras behaved like a modern-day Greek Quisling. Blatantly betraying the will of the Greek people a few days after the resounding OXI in the referendum he himself had called and in which he campaigned for the rejection of the German Diktat, is one of the most treacherous and anti-democratic political actions in 21 Century Europe. * The reason why Yannis Varoufakis left the government. * That Tsipras enlarged the cohort of European politicians beholden to the German agenda. * That Germany is ever more powerful and ever more unpopular. * And that Europe is becoming ever less democratic. Nasty and Interesting Times in Europe these days.